American chipmaker Qualcomm is considering giving up on Arm-based CPUs for the data center market, sources told Bloomberg. The world’s largest smartphone chip supplier launched its first server processor line, the Centriq 2400, only last November. Qualcomm declined to comment on the report. Qualcomm is thought to be evaluating whether it should shut down the server unit entirely, or try to find a new owner for it. When it launched the Centriq 2400, Qualcomm touted the chip’s energy efficiency and claimed a 4x better performance per dollar and up to 45 percent better performance per watt than Intel’s Xeon Platinum 818. It said the processor had been tested by companies including Alibaba, Cloudflare, Canonical, HPE, MariaDB, Mellanox, Microsoft, Netronome, Packet, Red Hat, Solarflare, SUSE, Uber and Xilinx. It remains unclear whether Centriq 2400 made much of a dent in the server market, which is almost completely dominated by the x86 architecture - with Intel serving the vast majority of that market. The spending reduction plan was originally announced in January as part of the company’s pitch to shareholders to remain independent. At the time, it was facing a hostile takeover from Broadcom, but the deal was blocked by the Trump administration on national security grounds. Should Qualcomm sell off the Centriq line, it would not be without precedent. This week, Cavium announced the general availability of the ThunderX2, the Arm-based system-on-a-chip it first announced in 2016. 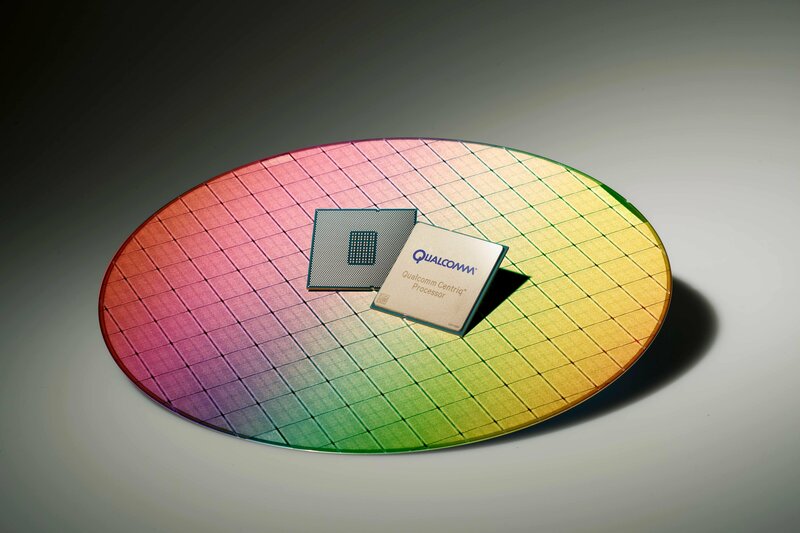 The Register reports that the chip is actually primarily based on Broadcom’s Vulcan SoC. Cavium quietly bought the designs and hired the engineers behind the unfinished chip after Broadcom left the market, following cost-cutting initiatives by its new owner Avago (which later rebranded as Broadcom). ThunderX2 is offered by server manufacturers like Cray, HPE, Atos and Penguin Computing, and will cost $800 for the low end 16-core variant, and $1,795 for the high-end 32-core version. Cavium’s latest chip has found some success with high performance computing deployments, including the Mont-Blanc EU supercomputer, Atos’ Bull Sequana X1310, and HPE’s Apollo 70. Ten thousand ThunderX2 cores are set to be installed in the GW4 Tier-2 HPC Centre’s ’Isambard’ supercomputer in the UK, while another 12,000 cores will be distributed across three UK university clusters. Last year, Cavium contributed an Arm-based motherboard specification to the Open Compute Project (OCP) community, created in line with the requirements of Project Olympus - an open source, hyperscale data center product family originally envisioned by Microsoft.